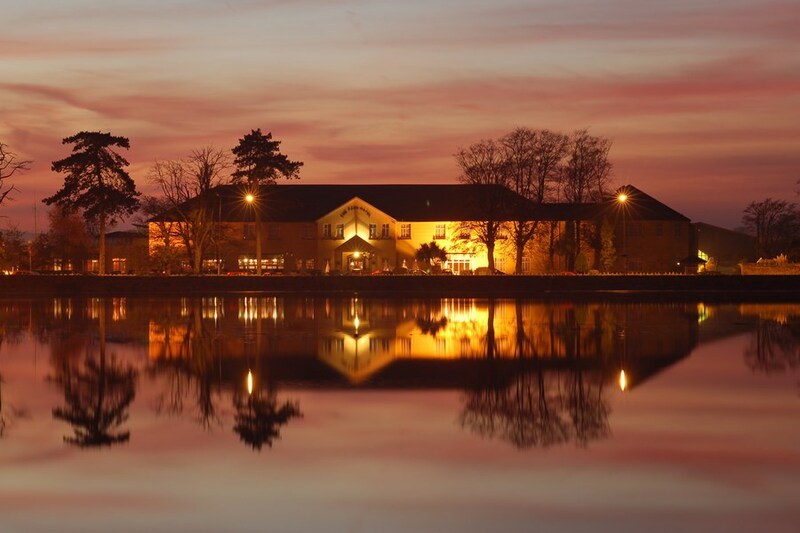 The Park Hotel and Leisure Centre in Dungarvan, Co. Waterford is one of the leading Dungarvan hotels, situated on its own five acres of landscaped grounds, only five minutes walk from the prosperous town and overlooks the picturesque Colligan River Estuary. The fitness centre is home to a swimming pool, therapeutic whirlpool, sauna, steam room, cardiovascular machines - treadmill, stepping, cycling and rowing - and free weights. The hotel is in the Shandon area of Dungarvan. The hotel is located overlooking the Colligan River estuary with rolling hills providing a beautiful backdrop. Despite this intimate and relaxing rural view, the main shopping area of Dungarvan is only a five minute walk from the Hotel. We had a lovely time at the Park hotel. Rooms were very clean, food very good and staff were excellent. Music in the bar was a plus and very enjoyable. Very well situated will definitely return. We found the Park Hotel very comfortable with helpful and friendly staff. Stayed for two nights during the November mid-term break. Room was warm, fresh and very clean. This was our third trip to this hotel, however pool and gym area could do with a makeover. We had breakfast and dinner each night and food throughout was excellent. Dungarvan itself is a quaint town and well worth a visit. Clonea beach is only a 10 minute drive with Tramore around 45 minutes from the hotel. We stayed for 2 nights, the food was very good, the room very nice & comfortable, the location great & the staff very friendly & helpful. The bar area however was very grotty & dirty. The seats were all well worn & the tables looked like they hadn't been cleaned for days. A great hotel, staff and food, everything you need from a hotel. Handy for the town and nice surroundings and a good leisure centre. Had a great stay in Park Hotel. Booked 2 connecting rooms, grandparents in one and family of four in other room. Rooms spacious and beds very comfortable. Staff very helpful and food lovely. All ages catered for, kids club, leisure centre, music every night in bar and nice seating areas. Would recommend and hope to return. We had a very comfortable night at The Park Hotel. Rooms were nice and quiet and spacious. This was our second trip to this hotel and it has a nice old fashioned family feel about it. Breakfast was good, with plenty on offer. Dungarvan itself is a quaint town with quite a few good spots for dining. If I was in the area I would return to this hotel. Very pleased with our recent stay in Park Hotel Dungarvan. Rooms were very spacious and comfortable. Breakfasts were fresh, and tasty. Staff so friendly. Will book again. Excellent value. Nice enough hotel for the value. Could smell smoke in the corridors and stale smoke in our room. Breakfast was okay. Leisure center was okay too. We had a lovely stay .Everyone was friendly and very helpful. The bed was the most comfortable I ever slept in. We didn't use the leisure facilities but did like what we saw of it. The room was tastily furnished and decorated but a bit small. Everything was clean and tea and coffee facilities in bedroom was very welcome. We had a lovely meal in the restaurant and breakfast was very nice too. Great stay, stayed there after a wedding. Very welcoming, lovely room. Very happy with stay. Had a great family weekend - lovely room, good breakfast and Dungarvan is a lovely place - even in the rain! Had a great stay with my five sisters. Rooms lovely and a very nice breakfast. Had a lovely meal in the bar with first class service. Very friendly and helpful staff. Hotel lovely and cosy. Dungarvan is a lovely town with a nice selection of shops. Clonea beach and Youghal beach all within easy reach. Great break away. I stayed here recently with my daughter and 2 grandchildren. I found it an excellent hotel. The service was outstanding... prompt, efficient, courteous and very helpful ..... particularly with the 2 babies..(ages 1 and 2.). Housekeeping catered to our every need. All service was carried out with a professionalism that is very rare. I would highly recommend this hotel. If you have kids, this is the ideal place to go with kids pool and club, two playgrounds and shopping within ten minutes walk. 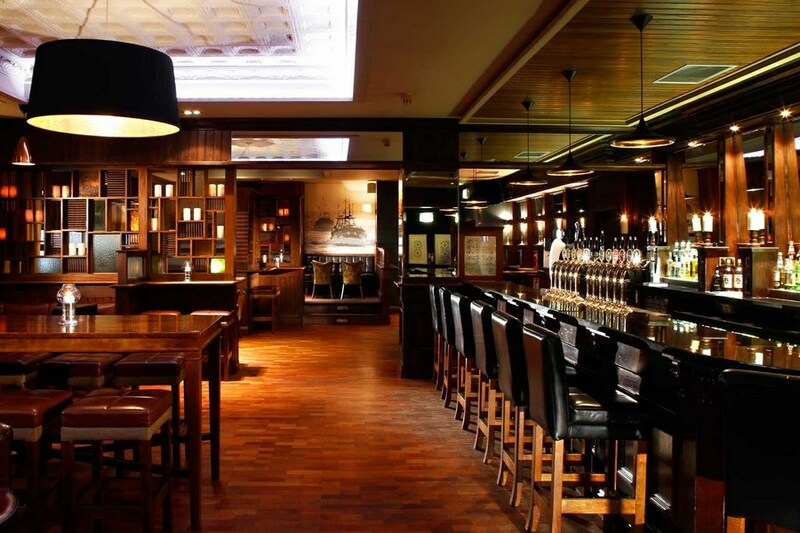 Staff are very child friendly and food and entertainment in the bar seven nights a week. Top class Accomadation.Hotel was full for the Sean Kelly Cycle Tour but staff were well up to the job. Breakfast delicious .Manager was in attendance at all times eg breakfast diner lunch.Will definitely be back with you soon .. I booked a one night stay for myself and my husband with this hotel. When booking I asked if we could have a room with a balcony as it was our anniversary and we would like to be able to have a drink on the balcony. The lovely lady on reception phone me back that afternoon to confirm that this was booked for me. On arrival at the hotel the same lady greeted us she could not have been more pleasant or helpful. In fact all of the staff at the hotel in every area were so helpful and friendly we were made to feel very welcome. Our room was lovely, big and clean and everything you could need. Dinner was lovely and on desert a they then surprised us with an extra desert a pavlova with Happy Anniversary written on it, what a lovely thing to do. The leisure center is also lovely and we really enjoyed it. We had a lovely stay and I would not hesitate in staying here or recommending it to friends and family again. Unusual to discover no lift facilities in old part of hotel, steep stairs - however, no problem changing rooms to ground floor. Rooms nice - all facilities available. Hotel nice. Food mediocre. Nothing specifically memorable. Very comfortable hotel with great facilities. The beds are great and the showers have excellent water pressure. The pool and facilities were also very looked after with friendly staff. There was a wide selection at breakfast, including fresh local strawberries, a great touch in addition to the usual breakfast staples. I would definitely stay again. Really enjoyed our stay at the Park. The staff were very friendly and helpful, food was delicious. Great location in beautiful Dungarvan. A little noisy with traffic at the front of the hotel in the morning but other than that no faults whatsoever. Highly recommended. We had a nice room and the breakfast next morning was very good. I have stayed many times at the Park and will continue to do so as it is exactly what I require. Would not recommend, the hotel dated, food is bland and waiting staff are far from professional or pleasant. Stayed for 2 nights over the Easter break, 2 adults and 1 child (11). Staff very friendly. 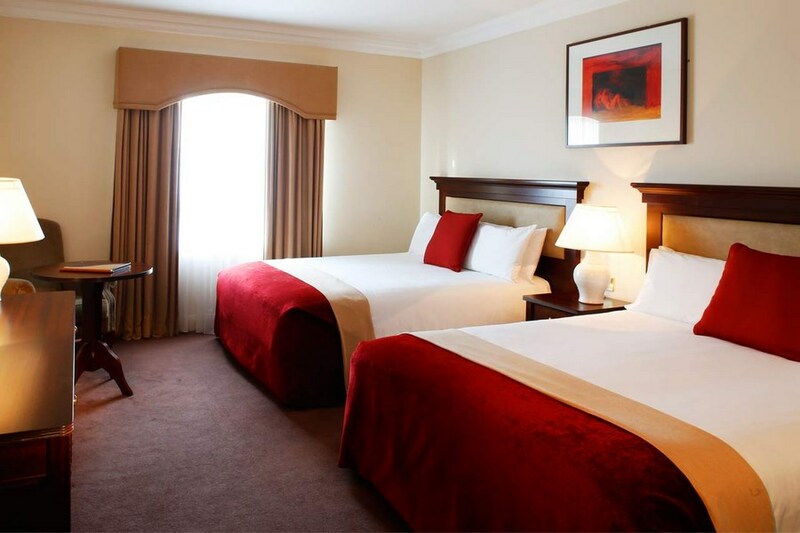 Hotel and bedroom very clean and comfortable, great leasure facilities and excellent food. Would highly recommend a stay. Really enjoyed my stay and staff very friendly and helpful but very disappointed not to be informed prior to booking that the bar would be out of action during our stay. We stayed at the Park Hotel, Dungarvan for one night. Arriving at lunch time on Sunday. We had lunch in the hotel. It was fine, nothing fancy. The lounge area where we ate was dated and dark. The upholstery, both curtains and seat covers badly needed to be replaced. The fittings on the blinds are unsafe for small children as they were not attached to the wall. I was some what amused to find the ladies toilet facilities rather good, bright and fresh and had a beautiful crystal chandelier. (This beautiful light fitting I would have placed in a public area.) The bedroom was very nice. Very clean, bright and fresh. The leisure center we used on the Sun evening. It has quite a lot of issues. Broken lockers, grubby and in need of quite of a lot of TLC. We had dinner in the dining room that evening. Same veg. as were served for lunch and by the taste of them had been cooked since lunch time, particularly the potatoes,not good, the salmon however was lovely. All of the staff were lovely, pleasant and smartly dressed. Good value for money for two nights. The hotel staff were really nice & friendly, also very helpful when needed. The gentleman on reception was a lovely person who engaged with us in such a friendly manner. the hotel itself was generally clean but needs a lot of updating and looked a bit worn. The room we were in was fine the beds were crisp and it was clean. The bathroom door needed a clean & repaint. The bar food was not great and we did not enjoy eating there. However the restaurant food was better and the staff were attentive. The kids club was a winner with our older son. It was great they also took kids from the age 3 so the youngest got a taster & we got a little break! The pool was nice and seemed well managed. Would not go back unless it has an updating. Just returned from a stay at the Park Hotel and everything was excellent. Reception staff were very welcoming, with comfortable and clean rooms. We also booked a single room at a favourable rate. Dinner was excellent with friendly and helpful service. Leisure facilities are adequate. We can recommend this hotel. We used the Park hotel Dungarvan again this Christmas period and as always find it perfect for our families needs. Service very friendly in the hotel and leisure centre and helpful. I would recommend it highly for families on a budget and food was good. Just back from a trip to The Park Hotel and we really enjoyed it!! The staff are excellent, food and service fantastic. The Leisure Centre is a let down though, cracked tiles, globe broken, no towels at reception so we had to go back to our bedroom for our towels but other than that it's a fine Hotel.